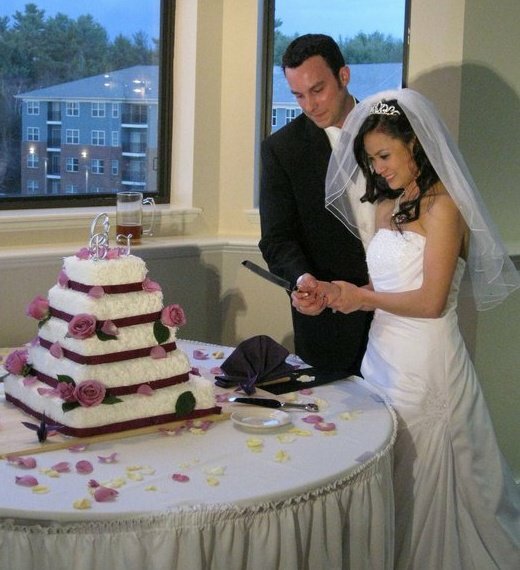 This past weekend, Signature Properties' valued agent, Blake Gintof and his beautiful bride, Thao Le joined together in marriage. Attended by family and friends, the ceremony was held at the Sunset Ballroom in Shelburne, Vermont. Long time family friend, Bill Bowman delivered a heartfelt and personal service to a supportive and joyful crowd. Spectacular views of the Lake Champlain valley complemented the deliciously amazing food, some of which was provided by the bride's family's Vietnamese restaurant. A live DJ keep everyone rocking while Adam Wilber of Fox Magic dazzled the masses with close-up magic. Great times were had by all. Best of luck in all of your endeavors Mr. and Mrs. Gintof! !